Bon Iver's Justin Vernon is working with rapper Astronautilus on a new side project. The project was revealed via a short, one-minute long film on the website of Totally Gross National Product, also home to Lizzo, Marijuana Deathsquads and Polica. The collaboration has been in the works for a few years, but details are scant, with no official release date for the project. Astronautilus is based in Minneapolis and released his debut album, 'You and Yer Good Ideas', in 2003. His fourth LP 'This Is Our Science', came out in 2011 and a new album is set for release this year. He has previously supported Tegan and Sara on tour. 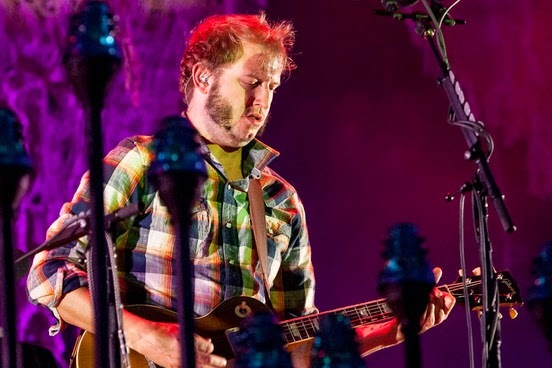 Bon Iver recently revealed a new song 'Heavenly Father', taken from the soundtrack to Zach Braff film Wish I Was Here. 'Heavenly Father' is the first new material from Justin Vernon's Bon Iver since 'Bon Iver, Bon Iver' in 2011. It appears on Braff's Garden State follow-up alongside songs by The Shins plus Cat Power and Coldplay, who have collaborated on the title track, 'Wish I Was Here'. Justin Vernon has recently joined both Sharon Van Etten and The National onstage, and is reportedly collborating with James Blake on the Mercury Prize winner's new album. Last year he released an album with another of his side projects, Volcano Choir, and also produced The Staves.